I consider scones to be a specialty of mine. 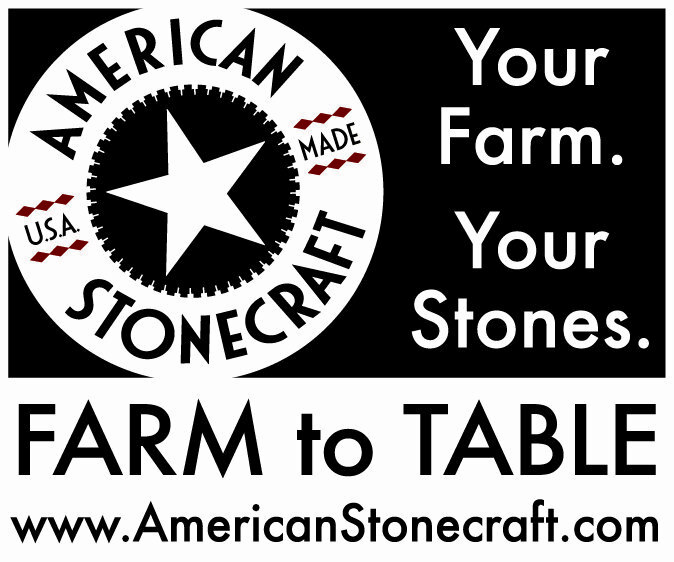 I have come up with a base recipe that works, and tweak the flavors to suit my desires as well as the seasons. I recently went to a 4th of July party at a neighbor's house, and decided to bring some scones along. Since summer is abound in fresh fruits, I decided to pit and chop some fresh cherries instead of using dried cherries as I have on many occasions in the past. 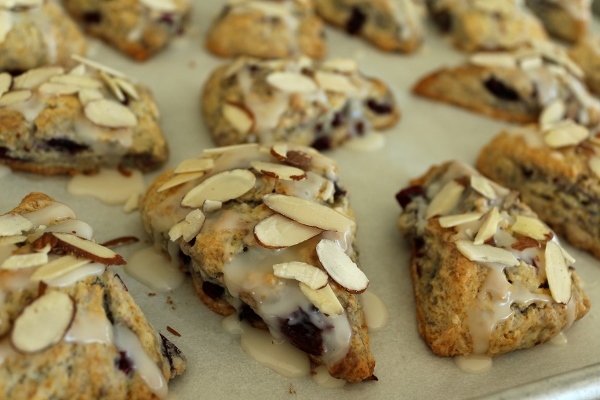 Almonds are a great compliment to cherries, so I added some amaretto to the dough as well as the glaze, and decided to use the glaze as an adhesive for some sliced almonds on top of the scones, instead of mixing them into the dough like I do with my Almond Joy scones. This was a fun spin on my usual M.O. 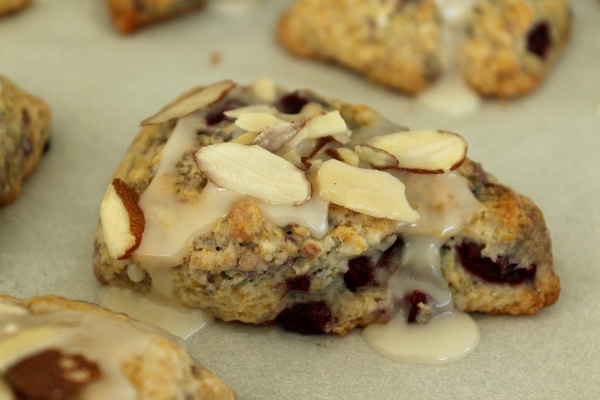 The result is a delectably tender-crumbed scone bursting with fresh cherry flavor, laced with aromatic amaretto, with a bit of crunch from a shower of sliced almonds over the top. 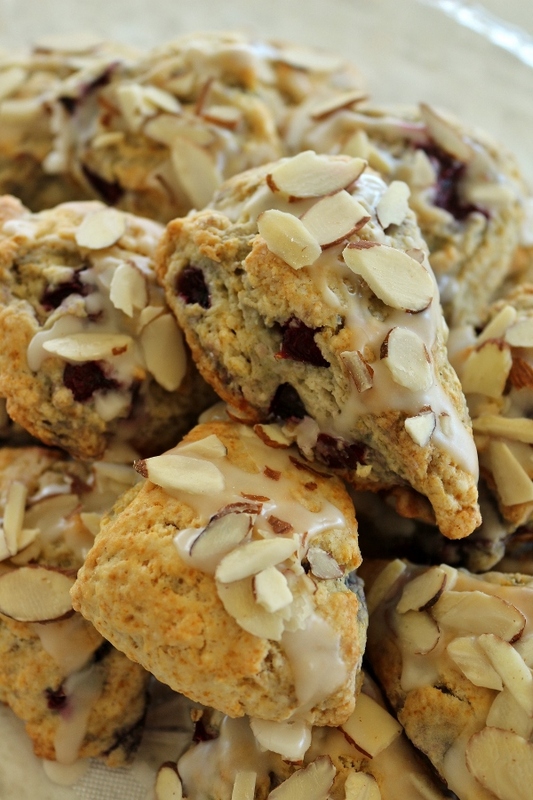 Regardless of the occasion or non-occasion, these scones are a great way to start your summer days alongside a cup of coffee or tea. Heat oven to 400 degrees F. Line a baking sheet with parchment paper and set aside. In a large bowl combine flour, sugar, baking powder, and salt. Add cold butter cubes to the flour mixture and work the butter into the flour mixture, using your fingers or a pastry cutter, until the mixture resembles coarse pea or dime-size crumbs. Be careful not to overwork the mixture or the butter will soften too much and the resulting scones will not be flaky. Add the cherries and toss well. Mix together the buttermilk, amaretto, and beaten egg and then add to the flour mixture and mix until just combined, kneading lightly (but don't overwork it). Divide the dough in half and pat each portion into a 3/4-to-1-inch thick circle. Don't overwork the dough, as you want the butter inside to stay as cold as possible until the scones head into the oven. Use a bench/dough scraper or knife to cut 6 or 8 wedges (like a pizza) from each round. Flip each cut scone over and place upside down on the parchment lined baking sheet (the bottoms are flatter and will look prettier as the tops of the scones), spacing a couple inches apart. At this point, the scones can be refrigerated or even frozen and baked later. Frozen scones can be baked from a frozen state; just add a little extra baking time, as needed. Lightly brush on top of the scones (but not the sides) with a little buttermilk, milk or cream (whatever you have). Bake scones for 18 to 22 minutes until lightly golden on top. 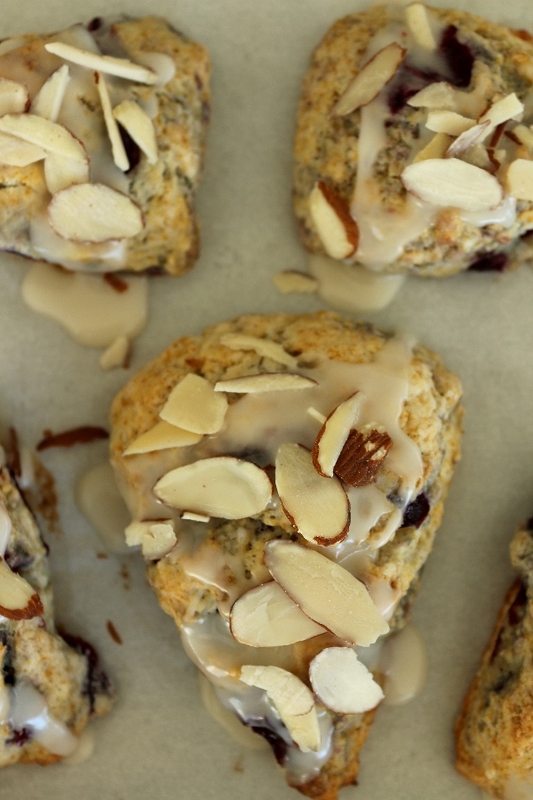 Remove from the oven and allow the scones to cool on the pan while you prepare the glaze. Stir together the confectioners' sugar, amaretto, and milk until smooth. If the glaze is too thin, add a sprinkle more confectioners' sugar. Too thick, add a drizzle of milk. 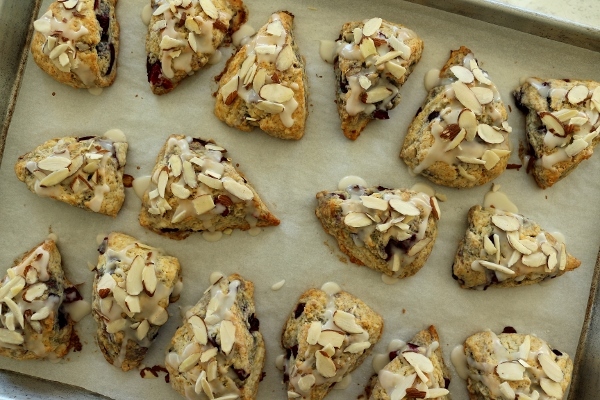 When scones are cool, drizzle the glaze over the tops, and immediately sprinkle some sliced almonds over each scone (you may want to glaze/sprinkle one scone at a time so the glaze doesn't set too fast before adhering the almonds to the top). The glaze will act as a glue, and the almonds will stick to the top. Allow the glaze to set and then serve the scones at room temperature. Breakfast at Hotel Kilkenny was not a traditional buffet. There was a buffet for cold items, and table service for hot items. Dad ordered the pancakes, which were more like crepes. He seemed to like them. Mom tried the eggs, grilled tomato, hash brown, and beans. I was intrigued by the scrambled egg with Irish smoked salmon served with homemade brown bread, which our server said was a popular choice. I pictured it to be smoked salmon scrambled into the egg, but it was actually 2 separate items on the plate. On one end was incredibly wet scrambled eggs on top of a soggy piece of bread. At the other end was a single slice of smoked salmon on top of a dry piece of brown bread, with nothing to lubricate the bread. Honestly, this dish to me was unpalatable. I put the slice of smoked salmon on a piece of toast and ate that. The rest went back to the kitchen. I filled up on toast and cheese instead. What a bummer. After our disappointing breakfast, we boarded the coach for a quick stop in the city center of Kilkenny for a bit more exploration. Since we had already checked out the castle the evening before, we spent some time in the Butler House Garden across the street. Here you can find some of the remains from the blown up Nelson's Pillar from O'Connell Street in Dublin, 1966. 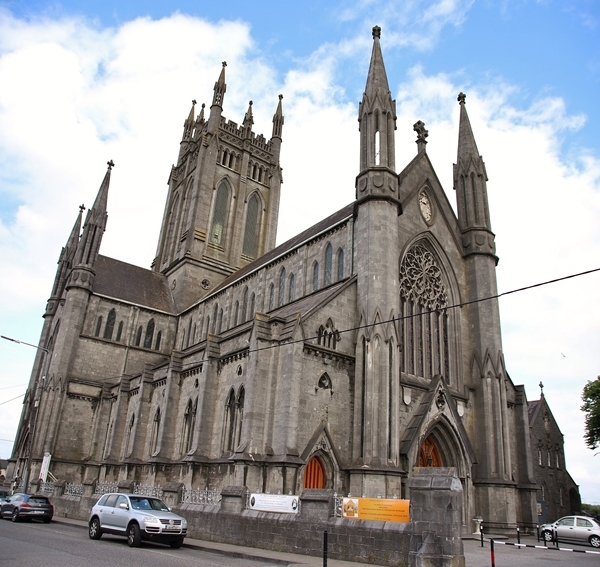 We had admired the spires of St. Mary's Cathedral the day before, and wanted to check that out as well in closer proximity. A quick stop in Inistioge led us to a "leprechaun bridge." At least that's what our tour director Bernard called it. I swear, he was constantly making us laugh the whole trip! That's Bernard, our very own leprechaun! New Ross was our main attraction for the day. It's actually the ancestral home of the Kennedys, but also an important port for emigration during the famine. Here we toured the Dunbrody Famine Ship and Irish Emigrant Experience with Liam as our tour guide. We learned the very sad and interesting history of the Dunbrody and other famine ships, or coffin ships. They earned this dark nickname because of the number of passengers who died along the way. Passengers would spend about 2 months at sea. Most were steerage passengers, but there were some first class passengers on board. Both had very different experiences. 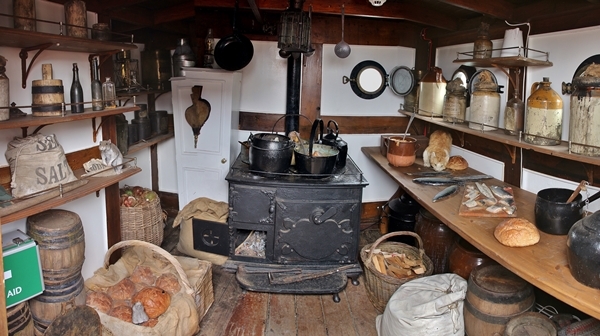 Steerage passengers spent at least 23 1/2 hours per day below deck, with up to 8 people sharing each 6-foot-by-6-foot bunk. This led to the spread of disease, and as a result death on board. Bodies were dumped overboard regularly. Steerage passengers also ate hockey puck-like breads that they would soak in rain water to make them soft enough to eat. Imagine these living conditions for 2 months straight. Meanwhile first class passengers had actual food and coffee on board. There were even live animals that the crew would butcher for meat along the way. And speaking of the crew, it wasn't easy for them either. The first crew of the Dunbrody abandoned ship when they got to New York. For future sailings, instead of getting paid after each leg of the trip, the crew didn't get paid until they returned to Ireland, ensuring the crew would actually finish their job and come back across the Atlantic. 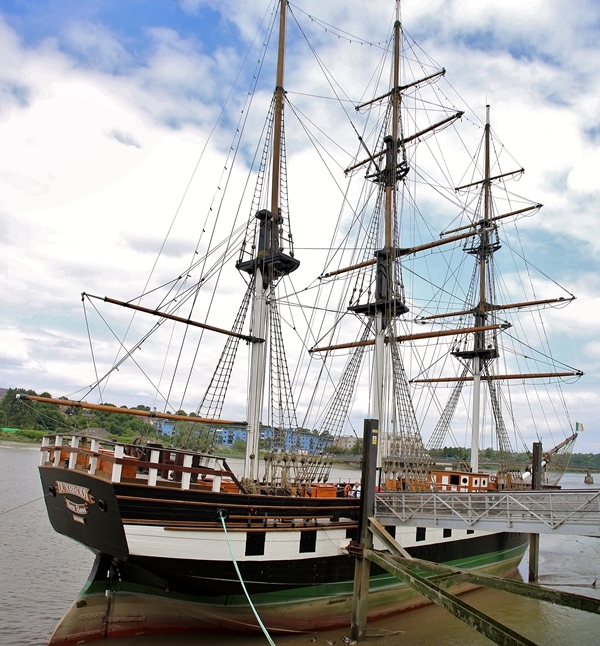 The Dunbrody was an unexpected gem. I didn't think much of today's itinerary when I first read it, but after visiting the Dunbrody I think it's an important experience for anyone visiting Ireland to understand the sad reality of the Irish people during the famine, but also to see the roots of the vast emigration from Ireland to America and why it occurred. We had enough time after our tour to grab some lunch, and luckily for us there was a restaurant right upstairs with lovely views of the Dunbrody and the town of New Ross! Dad had one of his usuals of this trip, a tuna and sweetcorn sandwich. Between tuna sandwiches and vegetable soup, his lunch selections were pretty predictable. Mom got the Cajun chicken strips in light tempura batter, and served with lime and chive mayo. The chicken was crispy, hot, and juicy. I tried a couple pieces and really enjoyed it! My pick for lunch was the salmon croquettes, infused with fresh chili, fennel, and lime, and encrusted with pinhead breadcrumbs. It was served with the same lime and chive mayo and a medley of salads much like the chicken strips. The various salads were comprised of rice salad, beets, red slaw, lettuce, and a potato mash (kind of like cold champ--scallion mashed potato), and were all drizzled with balsamic. The salmon croquettes were delicious. They were soft and tender, almost creamy on the inside, and super crunchy on the outside. Service was super fast, which made for a quick and very convenient meal with a pretty awesome view. Later this afternoon we returned to Dublin, where it all began. It was time for our Farewell Dinner, which took place at Nancy Hands near Phoenix Park, north of the Liffey. Here's a little history we learned about dear Nancy and her hands. Nancy and her husband opened the bar together, but later got divorced, and Nancy kept the bar and ran it on her own. She would break the rules on Sundays and serve beer during the 2 hours when all bars were supposed to close. After she got in trouble, she closed the doors during those 2 hours, but had a copper mailbox out front where customers could knock and she would serve them beer through the mail slot, and so they would only see her hands. Nancy's hands. Get it? Oh wait, there's more. Apparently her hands serving beer were not the only reason her hands were famous. Apparently she would also take customers around the back and serve them in other ways with her hands. One of the employees at Nancy Hands told us this colorful history. We were all kind of speechless! We sat upstairs in one of the dining rooms, and selected from the following menu for our last supper as a group. Not surprisingly, dad ordered the soup to start (this man is so predictable, haha). I had the warm goat's cheese pastry, really more like a parcel stuffed with herbs and goat cheese, served on roasted, thinly sliced beets, rocket (arugula), and walnut oil. My entree selection was the beef and Guinness casserole (really beef and Guinness pie). It was filled with tender beef and flavorful veggies in a thick, well-seasoned sauce, topped with a round of puff pastry. The side dish was just potatoes though, not the champ (scallion mashed potatoes) as advertised. Dad got the breaded cod, which was a breaded version of fish and chips (he asked for fries on the side), but not quite as good as the battered stuff. I'm sure this is meant to be a fancier version of the classic dish, but why mess with perfection? Mom liked her pan-fried chicken supreme, which was supposed to be stuffed with leeks and potatoes, but wasn't actually stuffed at all, nor was it pan-fried. It appeared to be roasted. So basically the food was great, but not always as advertised on the menu. Other members of our group really enjoyed both the rack of pork, and chicken and mushroom pasta dishes. Everything really looked great! Dessert was a sampler which included three different sweets. Our Farewell Dinner was such a special experience for all of us. It was not only a great way to say goodbye (or see you later) to our new friends, but also a very special opportunity to meet some of Bernard's family! We were the first group that was special enough to him, and I suppose asked him so much about his family, that he invited some of his family members to Nancy Hands so we could meet them! His mother came from the nursing home with his wife, one of his sons and his 4-year-old granddaughter, who was so precious as she visited our tables and sang songs for us. We had seen pictures and even videos of them throughout our trip, and heard so many stories along the way, it really felt so special to get to meet them in person. After vacating Nancy Hands, we headed to our final hotel of the trip, Ballsbridge. The room was pretty nice, and shortly after we started settling in we got a call from the front desk informing us that he had an additional single room available for us at no extra charge, because the triple room we were in wasn't really a triple (although I swear it was the same size as what we had at other hotels). We thanked them but passed on the offer since we were sharing some items like toothpaste, it just made more sense to stay in the same room as planned. It was a great offer though! Breakfast our final morning wasn't bad, but I was kind of over all the typical options so I decided to make a sandwich instead. Sadly, our journey is coming to an end. It's time to head back to Dublin Airport where we'll make our way across the Atlantic back to Providence aboard Norwegian Airlines. As our plane takes off, we can take in the gorgeous forty shades of green of the Emerald Isle one last time (for now, because we WILL be back). Once again we have a couple options for food, this time chicken with tomato sauce, rice, and green bean (mom and dad's choice), or beef with brown sauce, carrots, and mashed potatoes (my choice). Both meals also come with pasta salad with pesto and tomatoes, and decadent Irish chocolates! The beef was more tender than I expected for airplane food, and the chicken was pretty decent as well. Both were far superior to the chicken we ate on the way to Dublin 13 days prior. The chocolates in particular were excellent! I really wish I had, like, 5 to 12 more boxes of these chocolates. Well, friends, the time has come to wrap up these trip reports from the glorious island of Ireland. I knew Ireland would be beautiful, but it truly exceeded my expectations. I had a wonderful time traveling with a really cool group of fellow explorers from around the world, and the best darn tour director ever! Thank you Bernard, and of course Paul our amazing coach driver, for sharing beautiful Ireland with all of us. I'd also like to add that overall we had fantastic meals throughout the country. I've heard so many people say British and Irish food is nothing special, and it breaks my heart to hear it. We really loved the places, the people, and the food. 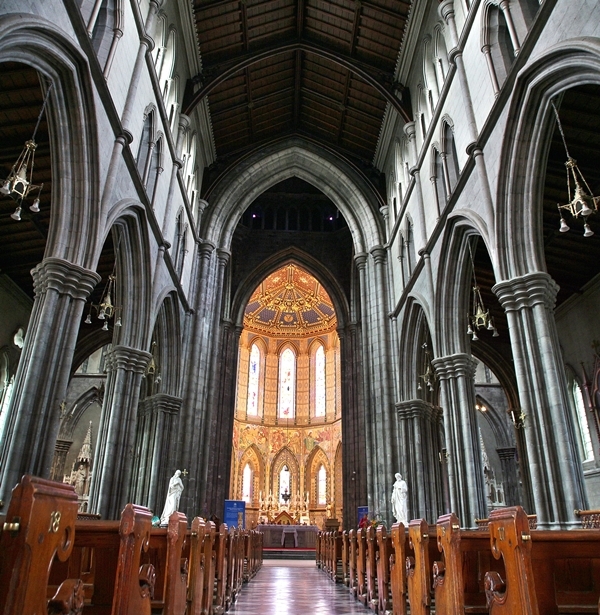 Ireland will always have a very special place in my heart, and I CANNOT WAIT to go back someday!